I'm a huge geek so I naturally made an ad for my favorite video game series: Mass Effect. After my first attempt at publication design, I decided to try again. 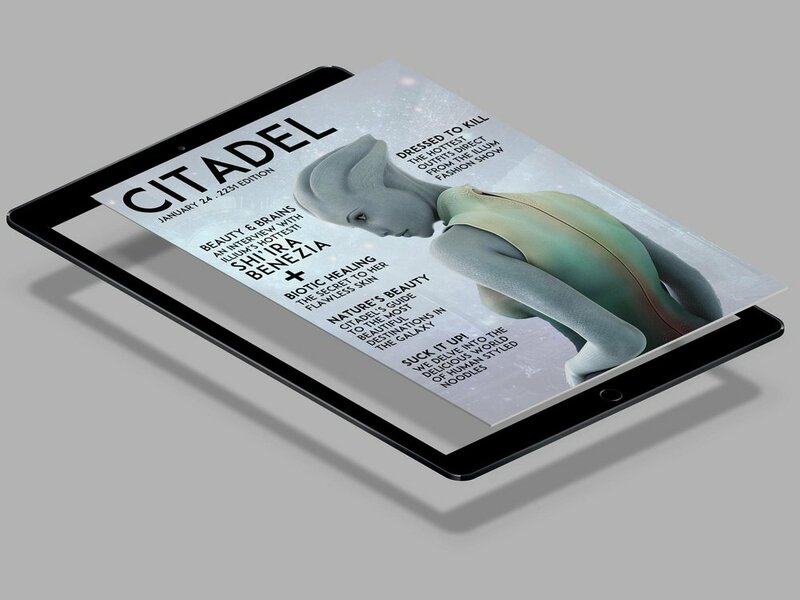 This time for a modern female magazine featuring an Asari model.